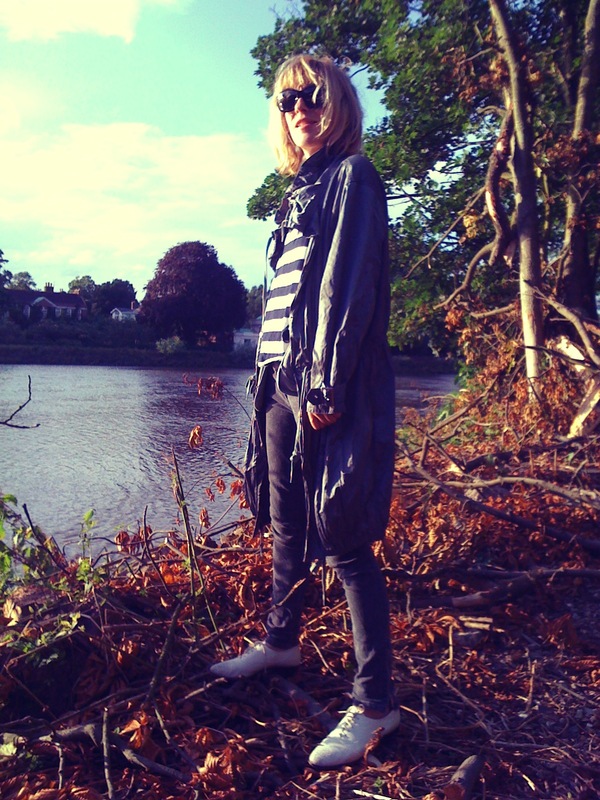 Down by the river… Jacket, Bench sample. McQueen jeans. Shoes, TopShop. Shades, Oliver Peoples.